The Soviet Union entered the 1980 Winter Olympics in Lake Placid, New York as the heavy favorite to win the gold medal in men’s ice hockey. As previous winners of four consecutive gold medals and filled with a legendary, star-studded group of professional players, the Soviet Union team was considered a virtual lock for another Olympic championship. Contrastingly, the US team was made up of amateur players with an average age of 21 years old, making it the youngest team in US history to play in the Olympics. It was a bunch of no name college players going against the world’s finest hockey machine. Imagine the US Olympic basketball Dream Team of 1992 (consisting of Jordan, Magic and Bird to name a few) losing to Angola? Not going to happen. 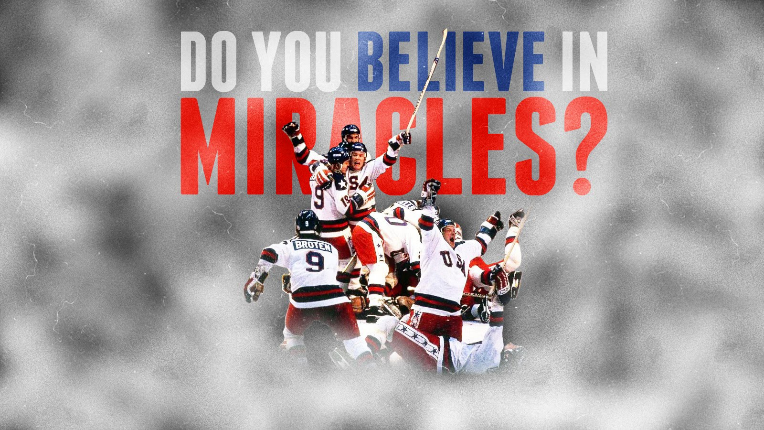 But, the “Miracle on Ice” indeed happened when the US beat the Soviet Union 4-3. Every American on the planet probably tuned into the last minutes of the game, and to this day, this match is widely held as the best international hockey story ever. Well, what about you? Do you believe in miracles? Verse one states that it had been exactly one month since the Israelites had come out of Egypt. The time reference is not accidental: Only a month before they had been miraculously delivered, but now they forgot all about it. Although they had been given a stunning victory over the mighty Egyptians, merely a month later they were complaining because there were hungry. So God promises them manna, which literally means “what is it?” And He would provide manna for the next 40 years. Manna was not a product of some biological organism. It was not man-made; it was certainly not something that the Israelites brought with them out of Egypt. Instead, God provided the manna straight from heaven—a great miracle indeed. Ancient Israel had no word for “miracle” or “nature.” They expected natural phenomena to tell them something about God. The Hebrew words in the OT, which are sometimes translated to mean miracle, literally mean “sign”—an event that points to some future meaning, or an event that draws attention to something else, usually God. Thus, in NT times, people expected that God would authenticate any disclosure of His intention with miracles. The Kingdom of God is now here (Lk. 17:21) and miracles are indeed signs pointing to this kingdom. Consider the inauguration of Jesus’ ministry at the Wedding at Cana in John 2 that was signified by his first miracle of turning water into wine, or Jesus’ declaration, “But if it is by the Spirit of God that I cast out demons, then the kingdom of God has come upon you” (Matt. 12:28). I believe that signs still exist today to remind us of God’s Kingdom. Miracles are still as much today a “sign” to announce the kingdom message as it was then. Considering that, are there areas in your life that seem hopeless and against all odds? Don’t give up! Ask the Lord for a miracle. Whether it be a miracle of physical healing or restoring a hopelessly broken relationship, let us wait in eager anticipation, in faith and earnest prayer. Prayer: Heavenly Father, I come to You today with faith so small I cannot see a way out. I want to believe You are able to do more than I can ever imagine (Eph. 3:20). I want to walk by faith and not by sight (2 Cor. 5:7). God, please bring a miracle into my life. I know that You can do the impossible in my life and I am trusting in Your promises. Thank You for being a God who sees and hears my every need. In Jesus’ name, amen. What lesson is Jesus teaching the man in v.23, and how does the man receive and respond to the lesson in v. 24? Why was the father so desperate in his response in v. 24? In what area of your life do you need God’s miracle? Ask for a miracle. Here, Jesus’ power is not the issue, but faith in him is. All things are not possible to be done by the believer himself, but all things are possible to be done for him, by Jesus. That work is done by faith which is a gift itself. He recognized his limitations in view of the severity of the situation. Ultimately, he put his faith and hope in Jesus. The fundamental question you and I need to be more conscious of today is, “Am I living my life in the deep faith of being united to God’s presence or am I living my life as though I am in control of everything that goes on in my life?” If we live our daily lives in the deep and personal union with God’s presence, our deep faith can give us a peace where we strongly believe that our lives are in the hands of God who cares for us. So, let us live in the greater consciousness and gratitude to God for His caring and compassionate love, where He never fails to work “miracles” for us daily. The greater our consciousness and the deeper our gratitude to God, the more discerning we become in our relationship with Jesus.